Cuecliche- Pop punk tour de force who can dip a toe in genre fluidity where required…Rock ballads and grunge and metal and punk all get mingle mangled together to make for a fetching, millenium whoop worthy clarion call of optimistic joie de vivre. Marvelously uplifting rock that can both break girders and wet eyes, bountiful stuff. 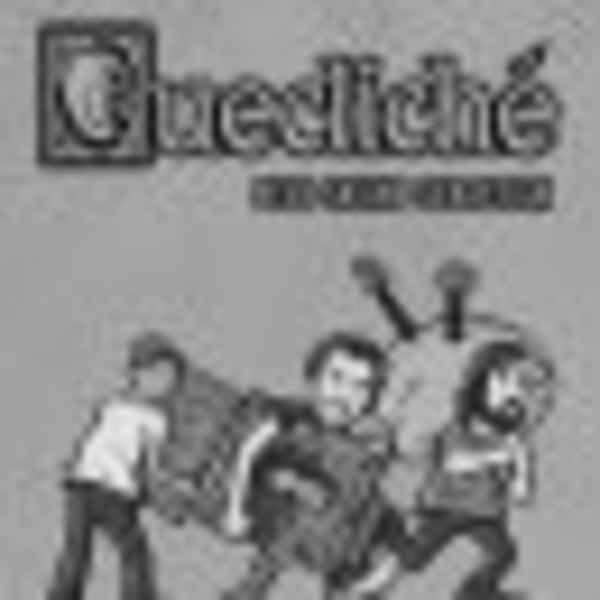 Cue proper biog!- Cuecliché are a three piece pop-punk band from London. Inspired by an intimate Blink-182 acoustic show in Kingston, Cuecliché came together through a mutual love of the early 2000s pop-punk scene, creating their own brand of nostalgia-soaked anthems reminiscent of Sum 41, Blink-182, Taking Back Sunday and New Found Glory. Saving Sebastian – ‘crappy pop punk’ they say- but of course they protesteth far too much and then some… American stylee for sure so more Green Blink Matchbox Ant Farm type doings, but with much wit and wonder. Bass lines that could cut cheese. Nice. New Subterraneans – New Subterraneans are a punky power pop trio playing short fast tunes, dont wanna bore people! yes indeed Kinda SLF meets the sharper less psych prog end of The Stranglers (no keys natch) …pure ramalama punk pop by mature coves who know their punk scallions. Ace. M69 -a four piece pop punk band from London – blending 1990s U.S poppedy punkery by the usual suspects (Green Day, Sum 41 etc) with a healthy dose of Buzzcocks/Rezillos Brit noo wave commercial ramalama…damnfine, so get along nice and early to enjoy then why doncha? ?